How are you? Hope you're all having a fabulous weekend. I absolutely love every single piece, everything is so pretty. My favourite colour is Pink so of course I was going to love the Collection! The Scuba Skirt also comes with a super cute Belt which you can wear with or without. 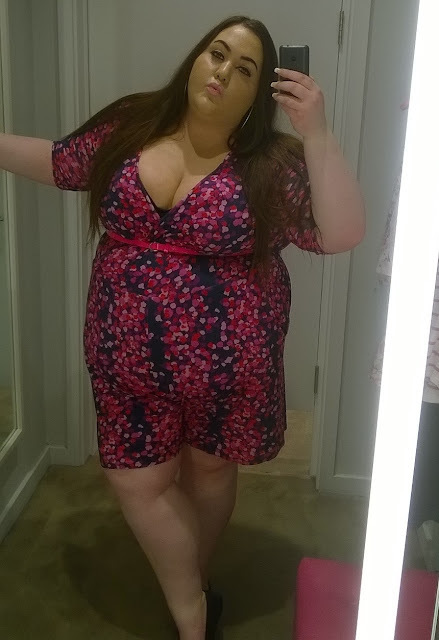 This Playsuit is such a gorgeous colour. Don't ever think you can't wear one because you're plus size. Embrace your body! 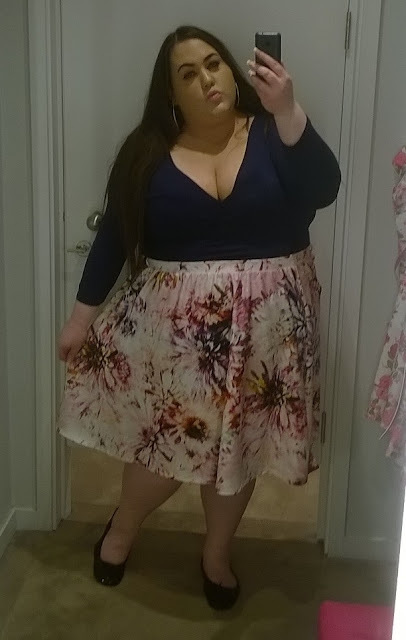 I adore this dress so much! Perfect for those hot days. This is such a beautiful Dress, amazing for Garden parties. This Skirt makes me feel like a Princess, it's so swishy. 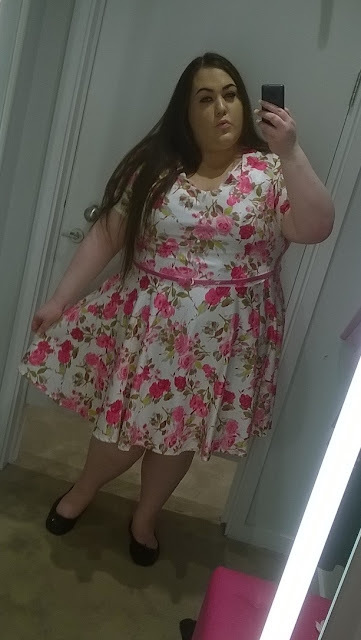 This outfit is just super adorable, I'm 5ft 8 and the Dungaree Dress just comes above my knees. There's also a gorgeous Cat Print Camisole that wasn't in stock when I visited so don't forget to check that out! I completely adore all of your outfits, but I have to say that the printed strappy dress is my favorite! I love the pattern on it. You look AMAZING in every one of those outfits and I love you in floral prints! I think my favorite is wrap too and scuba skirt but geesh it was hard to decide! I love your style! You look amazing in these outfits. Beautiful colors and prints. Stunning! Wow, what pretty outfits, I love the flower sundress best but the scuba skirt and wrap are really nice! Beautiful dresses! Love the floral prints! As always, such great outfit selections and you pull them together so well! The Printed Jersey Playsuit looks great and you look so confident and relaxed in all of these that they must feel great, too. 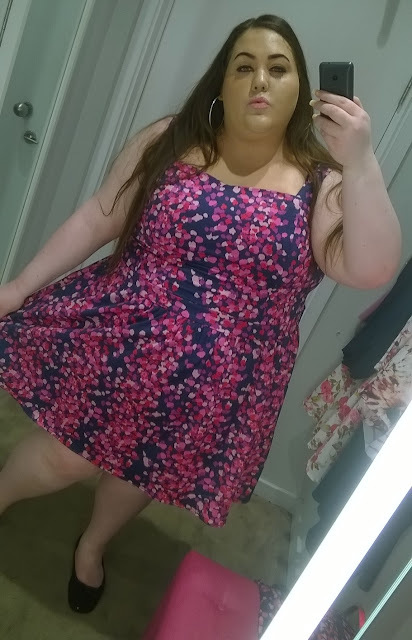 I love love the printed flower dress! It suits you like a dream!